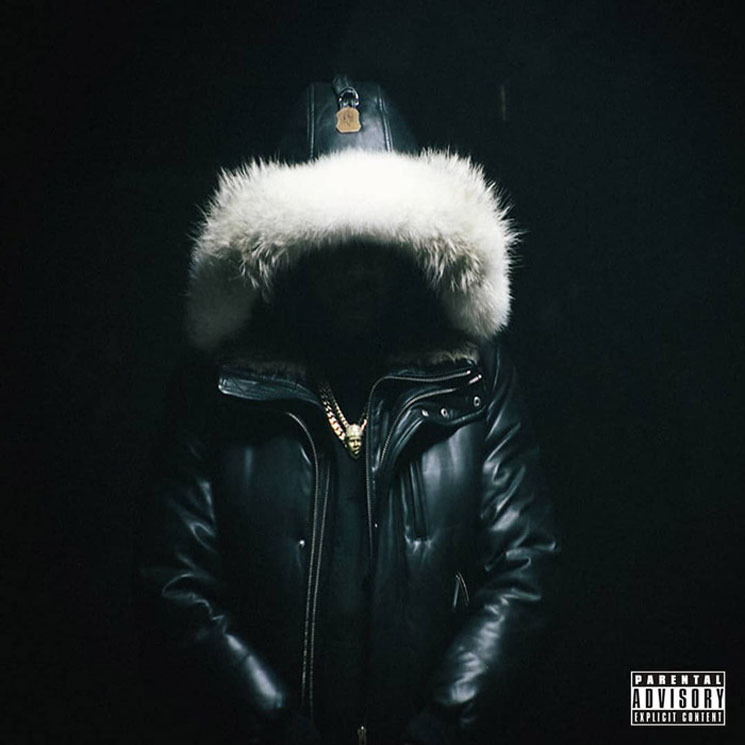 For those who have been following the epic rise of Buffalo's Griselda Records — who signed a deal with Eminem's Shady Records imprint just over a year ago — a new release by Conway the Machine shouldn't require a review to co-sign its quality. His most recent release, last December's G.O.A.T. mixtape, was packed with bars, though a lack of variation in production left it very dark and monochromatic. His latest effort, Blakk Tape, though almost entirely produced by Griselda mainstay Deringer, provides a more well-rounded vibe without sacrificing any of Con's trademark ultra-grimy aesthetic. The tape kicks off with the dark piano keys of "1 Night Drive," which establishes the (lyrical) energy for the project. It's a vibe that carries across other tracks, such as the eerie vibes of "Fish Fry" and "Rare Form." It's when he takes on different types of production, and lets straight-up gun talk balance itself with more lyrical bars (see "Alpaca") that his real potential shines through. Songs like "Puzo," a reference to The Godfather author Mario Puzo, the almost spacey sounds of "Eight Birds" produced by Harlem beatsmith V Don, and the '90s boom bap organ keys on the Bozack Morris-produced "Biscotti Biscuit" help provide breaks in his usual melancholy production choices. "Pavement," a record dedicated to those he lost, is full of humility — showing another side of Con: beyond being an aggressor, he's experienced the heart-wrenching losses of street life.